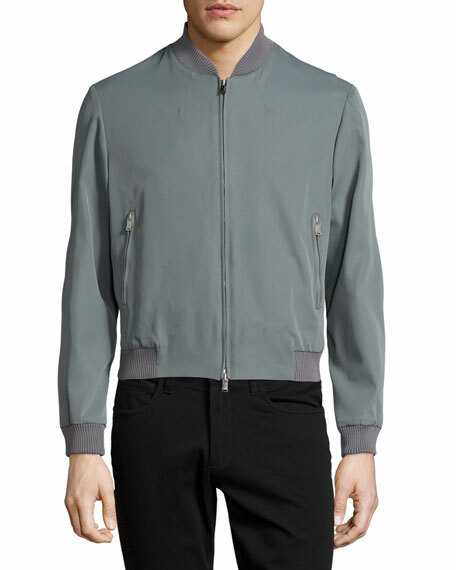 CoSTUME NATIONAL Japanese micro-twill nylon jacket. Banded trim at neckline, cuffs, and hem. 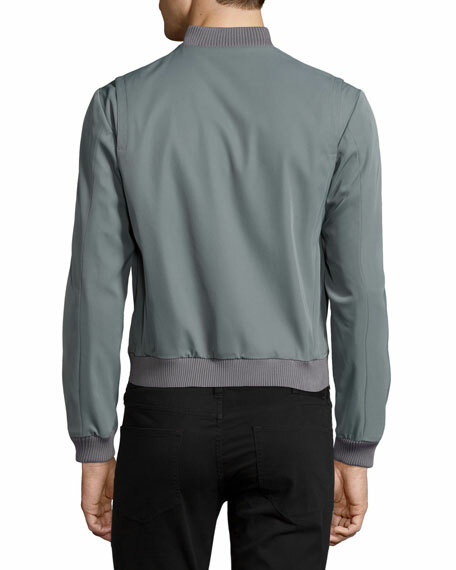 Under the direction of designer Ennio Capasa, CoSTUME National brings to life a design aesthetic that encourages creativity and a precise dedication to architectural minimalism. Delivering innovation since 1986, the futuristic creations encompass a range of Italian-made apparel, footwear, handbags and accessories  each intended to evolve differently based on the wearer. For in-store inquiries, use sku #1774964.